Posted on: 6th February 2019 . The payroll market is continually evolving. As it moves toward HR and away from finance, the demands of a payroller are continually evolving and both clients and candidates in the marketplace want more for their money. Traditional direct sourcing routes are not always fruitful nor the most time efficient, and the requirements of an agency via either a retained or contingency search, continue to grow in demand. Due to this continual change in the market our payroll team is also expanding and we welcome Ross Bennett to the team. Ross’s remit is to grow our C&I offering from a permanent perspective at the senior end of the market. 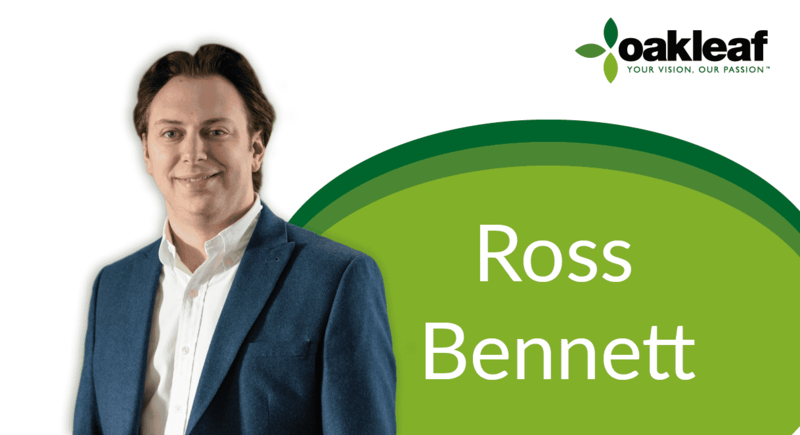 Ross brings with him an illustrious career from within finance and accounts and a strong reputation in his market as a recruiter who operates with a high level of urgency and integrity. He is excited to leverage off this within the payroll market and continue to grow the profile of our payroll division here at Oakleaf. When he’s not got his recruitment hat on, Ross enjoys precious time with his family and is heavily involved in a number of charities and giving back to the community.